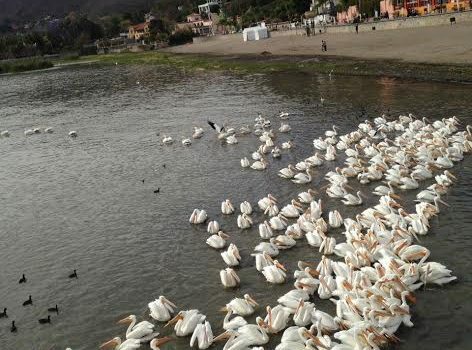 Lake Chapala hosts 5,000 White Pelicans each winter, representing about three percent of the total population which is estimated at 180,000 birds. The vast majority of the Lake Chapala birds are found toward the eastern end of the lake where there is more natural marshland. These appearance of these swanlike birds are a must see during our Winter Residency months!